Cervical spondylitis is a medical term that describes inflammatory arthritic changes affecting the vertebrae of the neck. Spondylitis nomenclature often denotes pathological varieties of inflammatory arthritis, although this varies from diagnostician to diagnostician. 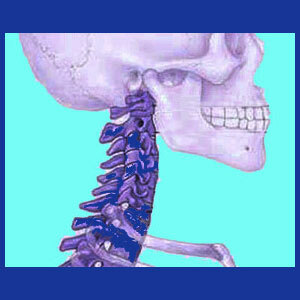 Osteoarthritis is generally found in the neck of every adult past middle age. 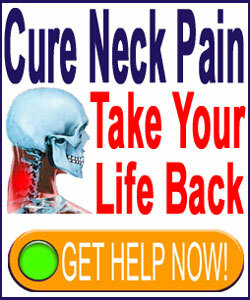 This is because the bones and joints of the neck suffer degeneration faster than almost any other region in the backbone. Typical versions of cervical osteoarthritis, also diagnosed as spondylosis, are usually not overly symptomatic, although they can cause mild aches and pains in some patients. Spondylitis is a diagnosis typically reserved for cases where there are no doubts that the symptoms are being generated by advanced to extreme arthritic inflammation of the cervical spinal anatomy. This is not always a rule, but for the purposes of this discussion, we will use to term to describe atypical varieties of inflammatory arthritic growth. This essay concentrates on serious cases of arthritis in the cervical spine, called spondylitis conditions. We will detail the occurrence of these painful syndromes, provide some insight to their causes and explain the most common and effective treatment options. When discussing spondylitis in the neck, it must be noted that many cases occur far earlier in life than typical arthritic conditions. In fact, many cases begin while the patient is still a young adult, although later onset is always possible. Spondylitis might be general or may fall into another more specific category, such as ankylosing spondylitis, that can affect large areas of the anatomy, including much of the vertebral column. The spondylitis discussed in this essay is the more common general variety that typically stays confined to the affected joints of the cervical spine. Some patients may only demonstrate inflammatory arthritic changes in the neck, while others might also express these types of problematic disorders elsewhere in the spine or elsewhere in the anatomy. The lumbar region is also a common vertebral target, while the hips, shoulders and other major bodily joints might suffer similar fates in the remainder of the anatomy. Spondylitis in the neck can be diagnosed via virtually any variety of medical imaging, but advanced imaging technologies offer the best view of the actual changes to the spinal joints, helping to pinpoint the worst affected areas for targeted treatment. The exact causation of spondylitis is not always known for each specific patient. Doctors have discovered that there is a genetic disposition towards inheriting inflammatory arthritis syndromes from parents, but these circumstances do not factor into every case profile. Spondylitis is more common in men than women by a significant margin. Being that many types of spondylitis are considered autoimmune disorders, many specialists consider the mindbody link to figure prominently into symptomatic expressions, since research shows clear relationships between psychogenic causation and many of these disorders. Injury is also known to play a role in who might develop spondylitis. Significant trauma to the cervical facet joints, vertebrae or overall anatomy increases the chances of developing problematic arthritic changes of various types in the neck. Finally, lifestyle factors also influence the development of all types of arthritic conditions in the spine, including inflammatory spondylitis issues. People who participate in certain vigorous sports, such as gymnastics, demonstrate an increased risk for various types of cervical spinal pathologies. Additionally, people who have exceptional natural or developed spinal joint flexibility also suffer an increased risk for spondylitis problems later in life. Spondylitis is usually treated conservatively with pharmaceutical products, injection therapies and physical therapy. Alternative methods of care that are reported to help some patients include chiropractic adjustments, massage therapy, dietary alteration and TENS usage. Conservative care practices will not provide a cure, but might spare the patient from further suffering the complications that are often associated with risky surgical endeavors. However, patients are warned to be wary of using drug therapies long-term, since these can pose tangible dangers to health and wellness and might become a bigger threat than the arthritic changes themselves. Surgical procedures are usually reserved for extreme cases of spondylitis where the patient suffers focal areas of inflammatory activity that interfere with joint movement to a disabling degree. Surgical correction of spinal stenosis and neuroforaminal stenosis are also commonly used when the patient is suffering neurological dysfunction from the arthritic progression. Of course, surgery is always risky and also demonstrates poor curative results for the long-term management of inflammatory arthritis. Patients might have to undergo multiple surgical procedures over many years, as the spondylitis continues to progress and influence the cervical spinal anatomy. However, for treating areas of acute spondylitis activity, minimally-invasive surgical techniques can successfully preserve neurological functionality and minimize the symptoms caused by spurring and inflammation within the vertebral joints.